Sport is seen as an increasingly important aspect of urban and regional planning. Related programmes have moved to the forefront of agendas for cities of the present and future. This has occurred as the barriers between so-called ‘high’ and ‘popular’ culture continue to disintegrate. 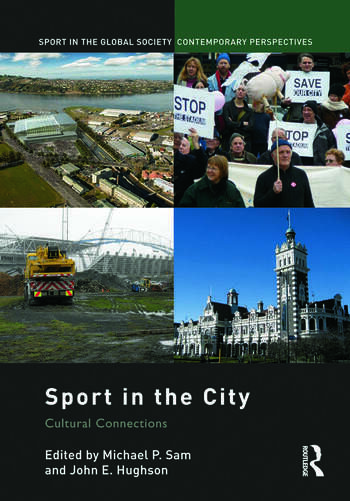 Sport is now a key component within strategies for the cultural regeneration of cities and regions, a tendency with mixed outcomes - at times fostering genuinely democratic arrangements, at others pseudo-democratic arrangements, whereby political, business and cultural elites manipulate a sense of sameness and unity among their fellow citizens to smooth the path for the pursuit of what are actually vested interests. Almost any active enactment of a ‘sports city of culture’ risks divisiveness. Recognizing controversies, with both potentially positive and negative outcomes, this book examines sport within contexts of urban and regional regeneration, via a number of rather different case studies. Within these studies, the role of sport stadium development, franchise expansion and sports-fan (and anti-sport) activism is addressed and articulated with issues concerning, inter alia, public funding, environmental impact, urban infrastructure and citizen identity. The ‘sport in the city’ project commenced as a research symposium held at the University of Otago, Dunedin, New Zealand and number of the essays originate from this occasion. Michael Sam is Senior Lecturer in Sport Policy and Management at the University of Otago, New Zealand. John Hughson is Professor of Sport and Cultural Studies at the University of Central Lancashire, UK.